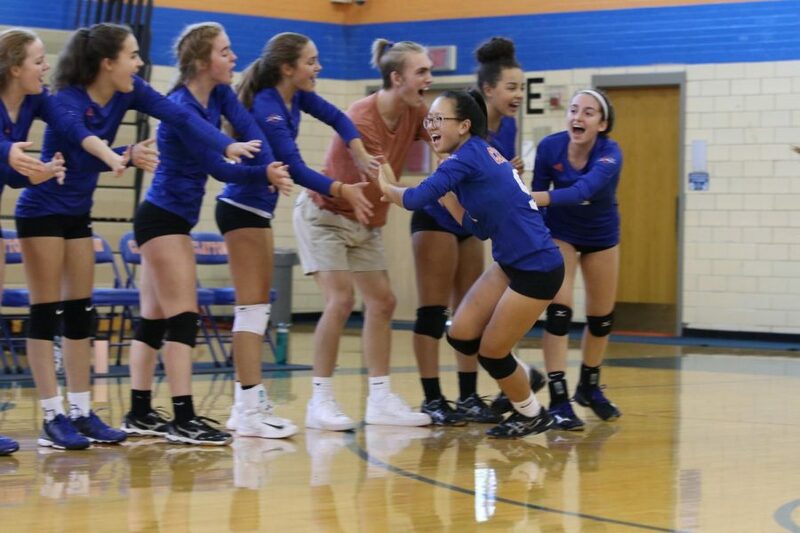 The girls' varsity volleyball team hypes themselves up just before a game. The inclusive policy of volleyball and other Clayton sports has come into question recently as the athletic participation policy changed. Should CHS keep its no-cut policy? 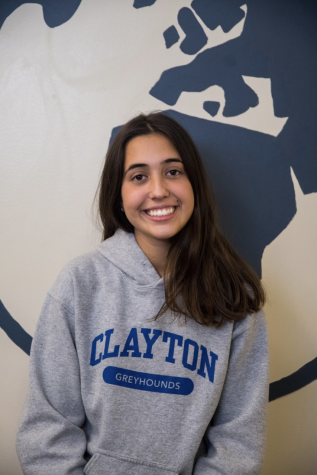 Clayton has strong athletic participation in its student body, due to its unique no-cut policy where everyone gets a chance to play. Recent changes to the athletic policy initiated by the Captains’ Council, though, has brought the nature of the no-cut policy into question. Read as the Globe covers both sides of the conflict about having a no-cut policy at the school. Clayton High School is among the few high schools in the St. Louis area that has a no-cut policy for their sports teams. The policy does ensure a supportive and inclusive environment, but does it really teach students the lessons that being on a competitive team are supposed to provide? Being on a sports team teaches young people many valuable lessons which non-cut policy interferes with. Learning how to lose is one of the most important teachings of sports teams. Athletes learn that winning is not always possible, a lesson that is very applicable to real life. If students are simply given a spot on a sports team, they are not training their minds to take losses. Additionally, students won’t feel the need to work as hard if they know their spot on the team is guaranteed. Another lesson sports teach is that hard work yields results and this lesson is hindered by the no-cut policy. The girls’ xc team runs together as a pack during their 5k race at the Affton Invitational in mid-August. From left to right: freshman Gabrielle McAuley, junior Ruby Gallegos, freshman Paige Rawitscher and juniors Sammy Williams and Mira Upshaw. This is a good example of how a student, instead of working harder to get better at the sport, fought to be put on the team although he, according to the coaches, did not deserve the spot. 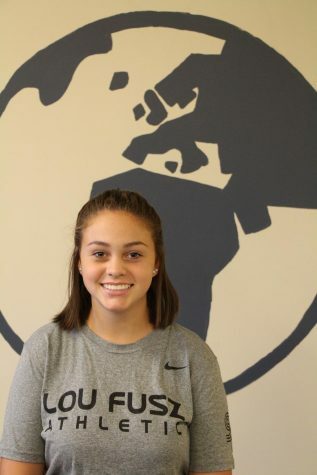 Ladue does implement a cut-policy for their sports teams, and many of their teams are state ranked because of their competitiveness. 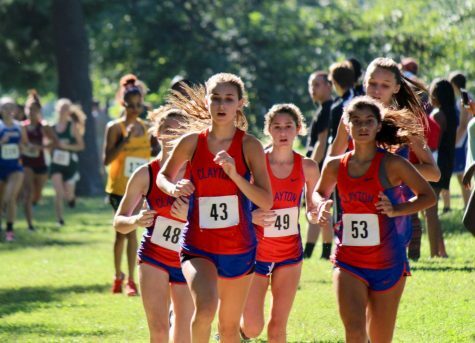 Although this incident shows the cut-policy going wrong, it provides us with a perspective on how not every athlete should be automatically put on the team. Sports are a large part of many CHS students’ lives. If it is being an athlete, managing a team or just going to watch, our sports teams do have an influence. Implementing a cut-policy on Clayton athletics would increase meaningful participation. Students being more motivated and dedicated to the teams would increase the benefit of sports to student life in general. Having a “no cut policy” is a great thing for Clayton High School. It gives all students a chance to partake in sports if they wish to. It also gives daily physical activity for students. At the same, it doesn’t guarantee playing time, meaning you have to work for a spot if you want to play. Not only is it a great opportunity to get out and active, but it also teaches great team building skills. Students that wish to participate in sports will always be allowed. They get in their daily activity and have fun playing a sport. Giving students a chance to play a sport they love, and to exercise, is a great way to keep kids engaged. It is common that participating in sports and exercising can raise endorphins, which makes you happier when, and after, you play. The fact that our no cut policy doesn’t guarantee playing time is a great way to encourage hard working players to keep at it. It encourages students to keep up a bit of competition and to work hard. If you have to work hard for a playing spot on the team, then people will be more motivated. Giving more initiative to players is a great way to have fun, and have the chance to work with teammates. This also means that those who might not be as good won’t bring down our ranks in competition when they start out, but will also be given plenty of chances to improve. A mother in the Ladue area chose to sue her son’s school after the soccer coach, Dave Aronberg, decided to cut him from the team junior year. The rule at this particular school is that if you are a junior or senior and don’t make varsity, you aren’t allowed to play. The previous year, parents of upperclassmen were complaining about their child’s playing time on the JV team. This story brings to our attention that it is important to let everyone play, but everyone has to earn their playing time. People should always be allowed to play the sport they love. This policy also states the rule that seniors are not guaranteed a spot on a varsity team. They can be on varsity if they are good enough, but seniors have to work just as hard to gain their position, and that they don’t automatically get a varsity spot just because they want it. This also keeps us competitive with other schools. Building teamwork skills is an important skill for many social situations in life and may be one of the most important components of playing a sport. 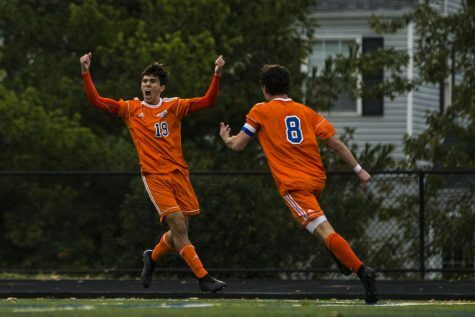 Clayton Greyhounds forward Dillon Flynn (19) celebrates a goal during the district championship match of the Class 3 District 5 MSHSAA tournament against the Ladue Rams on October 31, 2018 at Centene Stadium in St. Louis, MO. People are always going to have to work with others, and sports are a great way of doing so. For example, at a job, people have to collaborate with co-workers to accomplish certain tasks. Playing a sport, coming to practices, games, meetings and even socials with a team build great skills in working with other people. Not only do students get a chance to play, work hard and connect with a team, but a no cut policy also raises student involvement in school. There are plenty of students out there who wouldn’t be involved in school activities at all if they couldn’t do a sport or two. Student participation in activities like sixth-grade camp looks really good on college applications, and it builds the school’s athletic program as well. Not having a cut policy is a great thing for us at CHS. The way we are running athletics, giving every student a chance and providing a good way to have fun, is exactly what we need. Exercise, play, teamwork and student involvement in activities are excellent ways to keep students connected to the school and keep them happy.